ATTENTION BOOK LOVERS! Join your favorite bestselling local and indie authors for an afternoon of holiday shopping complete with hors d’oeuvres, wine, author readings and prizes to help raise money for The Charleston Little Free Library Project. New York Times bestselling authors Bernard Cornwell, Mary Alice Monroe, & Bret Lott will be on site signing books along with Lowcountry favorites like USA Today bestseller Susan Boyer, Jonathan Green, SC Poet Laureate Marjory Wentworth and many, many more! A $2 at-the-door donation is requested and attendees will be automatically entered into a raffle for hourly drawings of autographed books. PLUS: A silent auction featuring private lunches with some of the Lowcountry’s favorite authors and more will be held from 1 – 4 p.m. in the main event room, with winners announced at 4:15 p.m. Proceeds will benefit LILA (The Lowcountry Initiative for Literary Arts) and The Charleston Little Free Library Project, which aims to establish free “take-a-book-leave-a-book” locations throughout the Lowcountry in an effort to make knowledge, wisdom, imagination and a love of reading accessible to all. Tri-County Literary Celebration – Meet the Authors! This free event is designed to introduce lowcountry authors and their published works to the public. This event is kindly sponsored by Berkeley County Library System, Cypress Gardens, Berkeley Reads, the Berkeley County School District, the Friends of the Berkeley County Libraries, the Friends of Cypress Gardens, and the Berkeley County Chamber of Commerce. Did you know that South Carolina is chock full of amazing writers? Come discover great books written by over a 100 talented SC authors. Meet and mingle with the authors, and do some last minute holiday shopping. From poetry and history to inspirational books and mysteries, there will be something for everyone! Plan ahead… Here’s a list of the authors who will be attending. https://www.richlandlibrary.com/event/local-author-showcase-2014. If you’re looking for a good book to read… or a gift for someone special, there will be a variety of genres to choose from. There will be 25 – 30 Talented Local Authors available to sell, personalize, and discuss their books. This is also a great opportunity for book clubs and other organizations to meet with local authors and make arrangements for a guest speaker at a future meeting. I’m pleased to announce that I have been invited back to the North Myrtle Beach Library by the Genevieve Chandler Book Club . I wish to thank Florence Witmyer for arranging this appearance. I have been asked to share some fun and interesting facts that I discovered while researching The Seahawk’s Sanctuary, which is a love story set along the SC coast just prior to the Revolutionary War. And yes, history can be fun! I will have copies of both of my novels available to personalize and sell at a discounted price after the meeting. Can’t wait! It is my pleasure to announce that I’ve been invited by Janice Caruso to speak at the “Coffee with Friends” meeting in April. This group meets the first Thursday of the month at the North Myrtle Beach Library. I will be signing copies of my books after the meeting. Thank you, Janice. 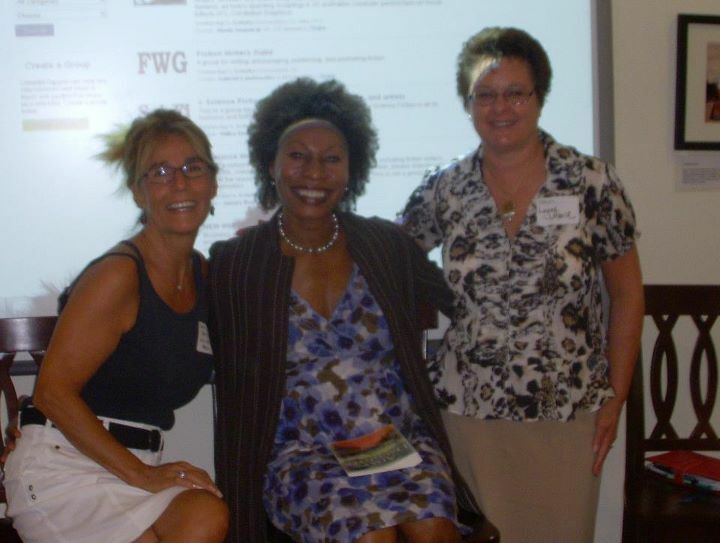 I’m looking forward to meeting you and everyone in the “Coffee with Friends” group! 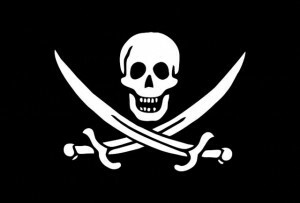 It’s my pleasure to announce that I’ve been invited to attend the Charleston Pirate Festival! Copies of my novel, The Seahawk’s Sanctuary, will be sold for a meager price at the Sutler/Author tables and I will be more than happy to make my mark and/or personalize them. In keeping with the spirit of the festivities, I’ll be dressed in colonial period clothing. This event is co-hosted by the Old Exchange and Provost Dungeon and the Charleston Maritime Center. There will be fun filled programs for the entire family scheduled throughout the afternoon such as – a musket demonstration, tables displaying pirate weapons and colonial fare, as well as pirate storytellin’ by local expert, Eric Lavender, and his parrot, Captain Bob. And let us not forget about the ‘real’ pirates that will be roaming the premises all afternoon – always lookin’ to sign on new crew members – or so I’m told. And you can have your picture taken with them… if ye dare! So please mark this date on your calendar and come prepared to step back into our coastal pirate past. I’m looking forward to seeing and meeting lots of pirates and pirates-in-training! 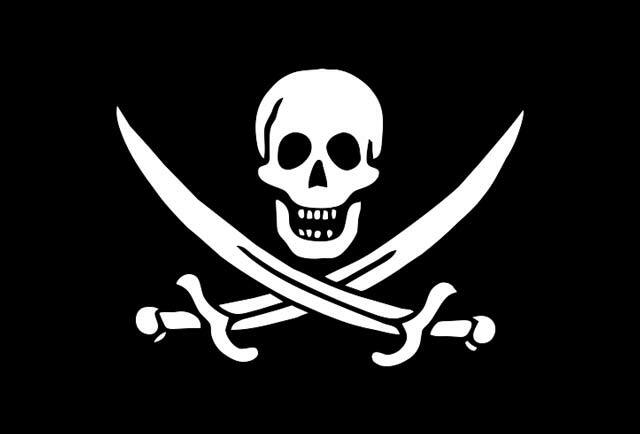 Until then, practice talking like a pirate… Aaarrrrrrrrr! I’ve been invited to attend the prestigious SC Book Festival in Columbia. With over 6000 attending this annual festival, it has become South Carolina’s premier literary event! I will, of course, have copies of both novels to personalize and sign. And, during this special event, they will be for sale at BELOW the regular retail prices! So please come by and meet me. I’m looking forward to it! 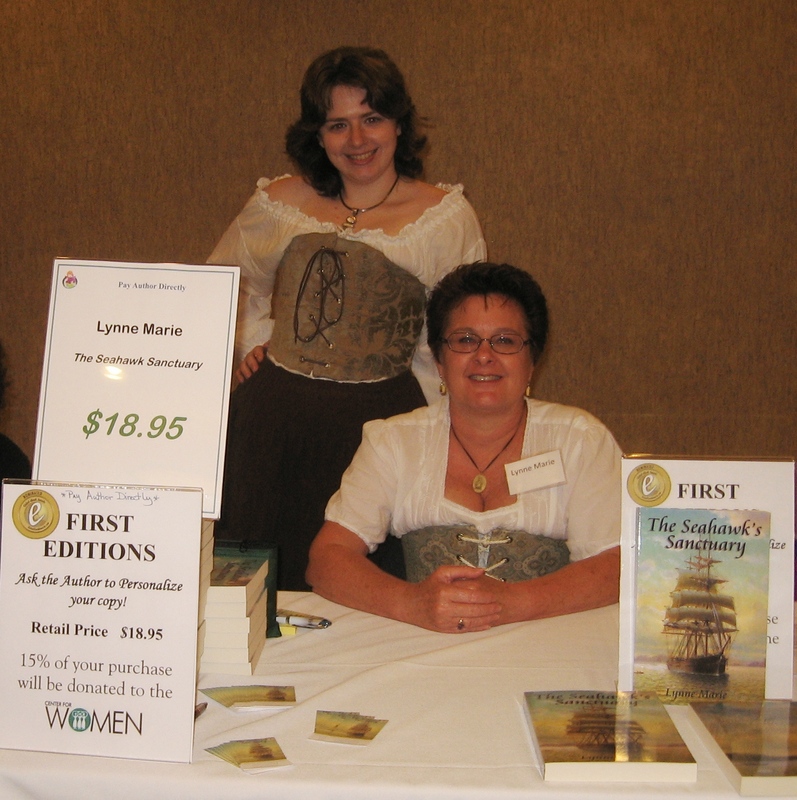 It is my great pleasure and honor to have a book signing at the Old Exchange Building as a large potion of The Seahawk’s Sanctuary takes place in historic Charles Town. The Exchange building, newly constructed in 1772, is mentioned in the novel. While The Seahawk’s Sanctuary, for obvious reasons, will be the primary book at this signing the Director of the Old Exchange, Mr. Tony Youmans, is graciously allowing me to have copies of my newly released novel, The Lion’s Lair, available as well. I plan to be in 18th century period dress, so please come by and step back into our past… It will be a great, fun-filled day! I’m pleased to announce that I’ll be one of the authors to sit on the panel at the Women Writers Forum on November 3rd. 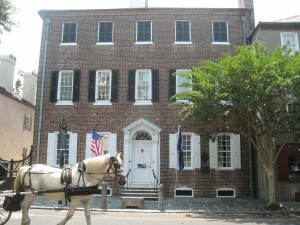 The Center for Women in Charleston, SC is conducting this event and the topic will be “Novel Setting” — how time periods and locations set a novel and in many cases become central characters to the telling of the story… Each of the authors have one or more books that figure into this theme, either through a specific time period, or setting, or both! Basically there will be an introduction of each author, a brief reading illustrating time/place as key, and then open forum discussion on the challenges these pieces might have wrought in each work (i.e. research); what they lend to the story; whether the author chose them or they chose the author (lol); and Q&A from the audience about building believable and relevant settings. Please make plans to attend this engaging and inspiring event. Over 60 Women Authors in one place at one time!